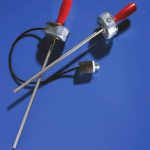 Phoenix Thermal Supply Cartridge Heaters are inserted into drilled hole to heat metal parts. 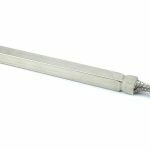 They come in standard round split sheath round, or square shapes and a wide variety of sizes of industrial heaters, with several lead styles that are able to withstand constant flexing, and corrosive or moist environments. Watlow Cartridge and Tempco. Phoenix Thermal Supply can assist you in determining the right diameter and length along with the wattage and voltage for your cartridge heater requirements. We have many different sizes in stock for immediate shipment. Stock or made-to-order, the HOTROD & FIREROD delivers heat in a hurry. 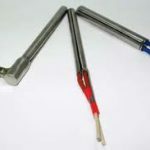 More than 250,000 FIREROD & HOTROD cartridge heater designs are available. Phoenix Thermal Supply offers many delivery programs to meet your needs: same day shipment, Ship-to-Stock or as needed. 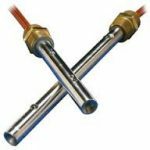 PTSHEAT Designs and supplies a variety of cartridge heaters. We have all construction types to fit your application needs. Choosing the right design is important for heater life and production requirements. Call our technical sales to help you select the right heater for your application. Double Ended Construction This style is used in areas where electrical wiring is not brought in on both ends of a machine. 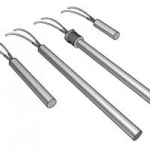 Available with screw terminals, pins, and leads. Split Sheath Cartridge This style is great for solving hole fit issues as the split heater will open when energized to fill loose tolerances. A split sheath heater also closes when de-energized to allow easy removal. Square Cartridge Heater This style heater is used in various applications. Used where a round heater is not. Multi Zone and Distributed Wattage Used For better heat control and temperature tolerances. This construction covers heat losses on packaging machinery and molds. Individually controlled heating zones.? As many as 5 zones in 3/4″ and 1″ diameter heaters and 3 zones in other diameters. Leads are color coded for easy identification.